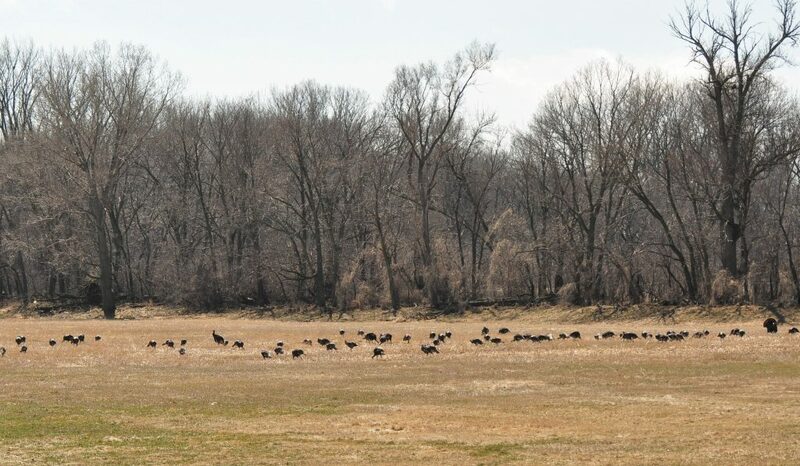 Turkey Season Kickoff: The great state of Nebraska is one my favorite destinations for pursuing wild turkeys. Nebraska’s early archery season begins in late March and for the past nine years, Dave Thomas and I have used the early days for our turkey season kickoff. Nebraska has some of the best turkey hunting in the nation. 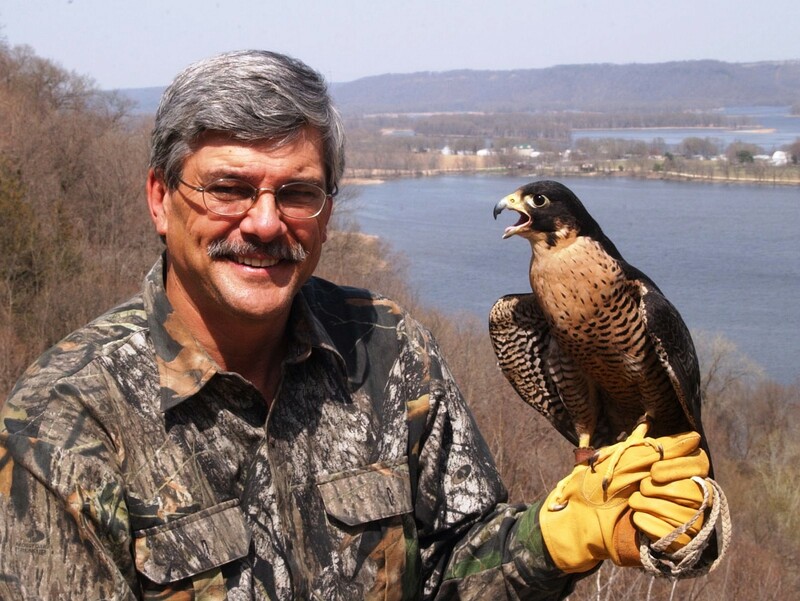 Over the years, Dave and I have enjoyed better than average success at bringing birds to bag. Nebraska’s rural roadways can be iffy during the best of years; with 2019’s late snow melt and widespread flooding, we decided to hold off until April 1st to begin our hunt. Turkey Paradise: During our first day out, I normally walk from camp and hunt a grassy valley divided by a narrow and shallow stream. The valley contains cedar and yucca studded rolling uplands to the south and healthy stands of mature oak to the north. The valley is a Wild Turkey Paradise. During a full moon, the all-night gobbling of roosted toms has literally prevented us from sleeping. The nearest I’ve shot a turkey from our campsite was less than 100 yards. Paradise Lost: As I moved down the pre-dawn valley this spring, it didn’t take long to see that the landscape had changed. Although the little stream was flowing at its normal level, it was also painfully apparent that this had not been the case a couple of weeks ago. The bright greens of newly emerging, turkey attracting grasses had been replaced by acres and acres of freshly deposited dunes of sand. The sand dunes ran for miles, making the landscape appear more like the Sahara Desert than Nebraska hill country. Dislodged piles debris hung from tree branches ten to twelve feet above the ground. Couldn’t imagine what it must have looked like when the now peaceful stream had crested. The valley normally resounds with daylight gobbling. Today there was only silence. I heard a couple of gobblers sounding off in the far distance and that was it – complete silence without sight or sound of a single bird for the remainder of the day. Hunting to the south, Dave had much better success. More of less surrounded, he enjoyed gobbling on three sides. The spirited vocalizations lasted until ten o’clock. While working one likely gobbler, the bird was suddenly intercepted at the last moment by a couple of loud-mouthed hens. Another likely candidate came to within ten steps but failed to present a good shot. The day passed quickly and before we knew it, sunset had arrived. Returning to camp we enjoyed a fireside steak-fest and called it a day. Our site is primitive, and we always travel light. Dave was staying in a one-man spike tent; I had decided to use a lightweight nylon photo blind with just enough room for a single sleeping bag and limited gear. An earlier forecast called for a 40 percent chance of light showers. Although this particular photo blind is about as waterproof as a paper towel, it can easily withstand some light precip. With temperatures already dropping into the 20s, rain seemed even more unlikely. It was, in fact, already starting to spit some scattered snow flakes. Turning in, I was soon fast asleep in my cozy bag. April Fool’s Day: When I was suddenly jolted awake at 1:00 am, my legs were soaking wet and freezing cold. The reason was obvious. The weather had delivered a not-so-funny April Fool’s joke. Forty percent chance of light showers had become a major dump of heavy, wet snow. The roof of my photo blind had become a reservoir of ice water; ice water that was now cascading unto the lower half of my sleeping bag. Sitting up, I was able to dislodge the remaining pile of snow and melt water from the roof. Curling into ball, I able to not get any wetter than I already was. Better yet, the dry part of the bag stayed dry. Although a new accumulation snow piled up, my bag was now out of the way of additional falling ice water. Nevertheless, it was a miserable night right up until time to get up. I can say that hot coffee never tasted better! Command Decision: Leaving camp, I hunted until noon, but never saw or heard a turkey. Dave returned to the same area where he’d had the close encounters the day before, but never saw a bird. By morning’s end, the skies had cleared and the snow was all but gone. Meeting back at camp, we made a command decision and decided to pack it in. The Nebraska turkey season runs until the end of May and although the weather can be hot, we’ve enjoyed good hunts right up until the very last day. We’re hoping there will be better days ahead when abnormally late winter concentrations disperse [attached photo] and birds displaced by recent flood waters will hopefully return to familiar haunts. As always, time will tell.